So begins a retrospective, a self-reflective narrative of a woman who left the London high life for the enclosure of a monastery on the cliffs of northern England. She just so happened to have been widowed, and in her earlier life as a wife, to have had a child, and to have lost that child as well. If one were to stop and think of an orchard, the first image might be of trees in vigor of full bloom, bent toward the sun and receptive of its healing rays after the brutality of winter chill. One imagines the blossoming of blooms in spring — fragrant scent that intoxicates by day and soothes by night, only to again imbue the morning dew. In the place of blooms, later appears the fruit, to which bees swarm, and men gather rejoicing at harvest time. But no orchard simply appears bearing fruit. It must be planted and nurtured, pruned and watered, tilled and allowed time to grow. It must die in winter to bloom stronger in spring. And it is so, that a present view reflection on one’s marriage after ten years is adequate, were stories to climax before they begin. But they never do. So let us backtrack a bit — some ten years, that is, from now, and tell a more personal tale from its beginning. It was the spring of two hearts, who had lived some harsh winters. She was from Rome and transplanted to New York. He, an American by birth, with family lineage traced back to her homeland. The aisle and altar were draped in wheat, white lilies, blue delphinium and roses. Sprigs of wheat had been flown in from California. The florist had sought them from floral wholesalers all over the country and finally found them four days before the wedding. It might have been the rare instance, in a city where the impossible happens regularly, that FEDEX overnighted newly cut wheat to New York. These sprigs of wheat had been in her mother’s bouquet and her father’s boutonniere some 26 years earlier, as her parents vowed their lives to one another in the Sacrament of Matrimony within a small church at the heart of the Roman Forum. Her mother, widowed now, had expressed a desire that they be on the altar as her daughter did the same. 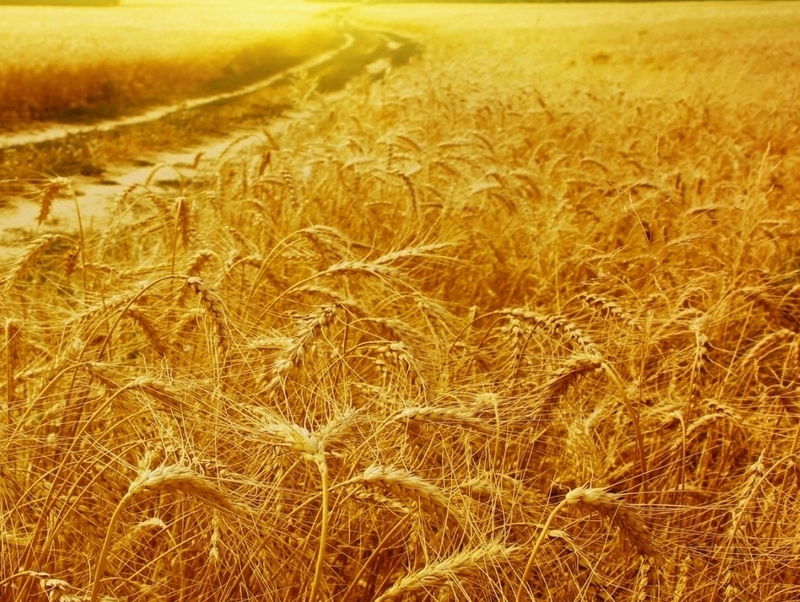 In an appeal to the traditions of the ancients, wheat is the symbol of fertility and abundance, of life and birth. The symbol was intended, and its significance prayed for, so much so, that a hundred of these sprigs had also been hand embroidered on her veil and beaded in pearls and silver. In a nuptial wish passed on through the generations, the hidden prayer was for an abundance of love, length of years, for children and a family. The question, albeit now taken as rhetorical, is posed again in this current rereading, and rings forth past a decade of memories. Exercises had then followed, on ‘untangling’ love knots. She remembers laughing at the time — it seemed slightly ridiculous to have to pause and ponder the future with images of tangled ropes. Putative love knot untangling exercises carried out ten years earlier, proved to be futile a decade later. It was all too superficial, too imaginary. And besides, she was very good at untangling knots — real ones. The skill has been harnessed re-tying growing vines on family farm as a child. It was in fact those sprigs of wheat, a cherished memory, which now speak louder than pages of blank spaces, wherein one was once to record thoughts in preparation for the seemingly endless walk to the altar. The cascades of golden stems, fragrant lilies, and roses so lush they hung low from their own weight upon a carpet of silk, are a far more powerful memory — a vision of beauty, a still vibrant sign of the tremendous bond that was formed on that day in August. The aisle redolent with fragrance, is a lasting portent symbol of the roads of the world they would travel from there. Towards the altar they came for the offering, and against it they would walk united, outward bound into the world. We cling to symbols as often inadequate means by which to transcend the realm of the visible, of the objectively quantifiable, into that of the mysterious and transcendent. Some, with fervent faith, see their significance everywhere. Others, fighting an ingrained inclination to skepticism, are hardened against them, and rendered incapable to surpass the merely visible, the superficially obvious. It is said, all too often, but often rightly, that images speak louder than words. And so that wheat was more than simply there to fill boutique floral confections. A field had been planted for those stems to grow so that one day they would serve a noble purpose — they would become grain to gladden men’s hearts, as those hearts in union gladdened. They would become the Eucharistic Feast to nourish their offering of lives. It was a future and ever present promise, whose unfolding harvest is still daily revealed. And with those words, the field was just being planted. And God was watching. In a Genesis moment, He saw that promise in light of eternity. And it was very good.